It’s the night before your tender, bid or proposal hands in and with a sinking feeling you realise it still needs ‘work’. Maybe it needs a lot of work, or just some key finishing touches applied. But without a deadline extension there’s no time to fully recast your responses, alter your document structure, change the team or revise your solution. So, with the count down on, what are some realistic quick fixes for tenders, bids and proposals that will improve your response in a short amount of time? 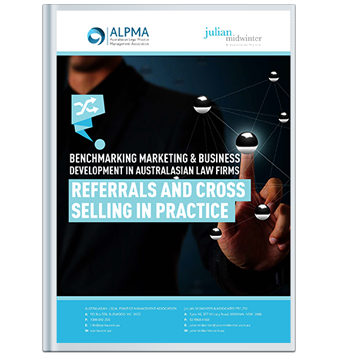 Here are 11 of JMA’s most practical tender, bid and proposal quick fixes that focus on improving your submission’s overall quality, readability and presentation. Alone they may not win you the tender, but application of these quick fixes will ensure your bid doesn’t disgrace you either. We have prioritised them in order of essential through to ‘nice to have’. Depending on remaining time you may even be able to make use of all these quick fixes. 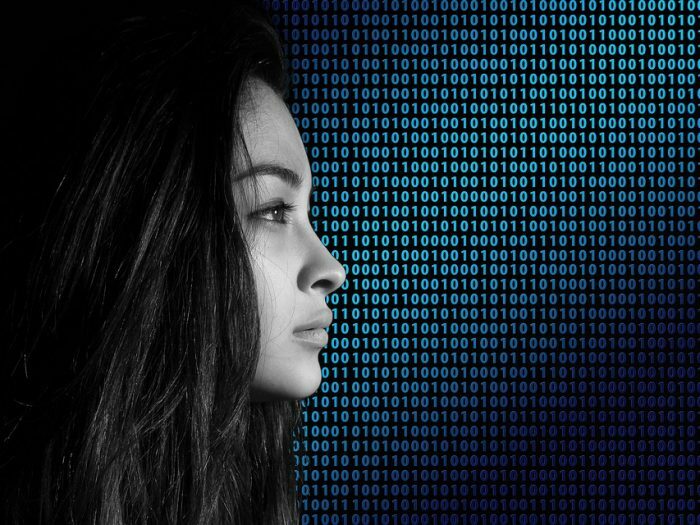 It seems impossible with ‘spell checker’, but if you are creating a tender or proposal from multiple documents and authors, chances are some weird spellings (or actual mistakes) may have crept into your final consolidated draft. American spelling can often be a turn off. 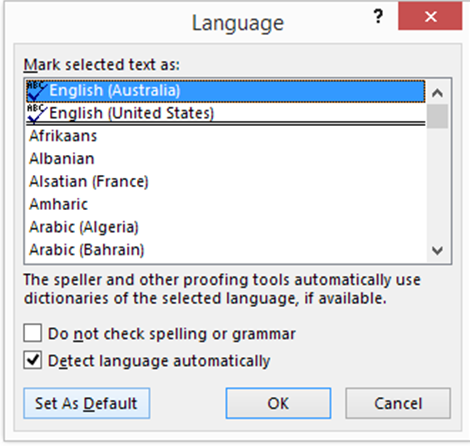 For Aussie and Kiwi firms, check you are not using American spelling (organize, color, etc). Or sometimes incorrect words or funny grammar may have inadvertently been ‘ignored’ in a previous review. Pro tip: If the above is too hard – try doing a quick search on the letter ‘z’ to find any ‘izes’. If you have time for nothing else this quick fix can catch some glaring errors that can be distracting for evaluators. If you have a little more time to spare, review the most critical bid responses to make sure you are really answering evaluator questions. Often (particularly if you’ve only managed to do one draft) your tender responses can meander. (Also see our blog Too long; didn’t read). During the final read though you may notice it is taking several sentences or paragraphs for the author to get to the point. To help focus your review (just like at school) scan the RFT/P question for key words – highlight or underline them so they remain top of mind. Does your response to the question open with a sentence addressing the question in a relevant, direct way? If necessary amend the response to put your key points of information up front. Because “first impressions” matter so much, time allowing, this advice extends to sentences, paragraphs, and the whole argument. If you have very little time, try to fix consistency of your messages and language. If there are ideas, services, concepts, a piece of tech or some other innovation critical to your bid make sure they are named consistently throughout. By uniformly calling whatever it is the same thing all the way throughout it will help build your case and reduce confusion as it will be clear the same idea is being discussed (whatever section of the tender is being reviewed or cross-checked). Pick one version and then make sure it is ALWAYS called whichever you have chosen. 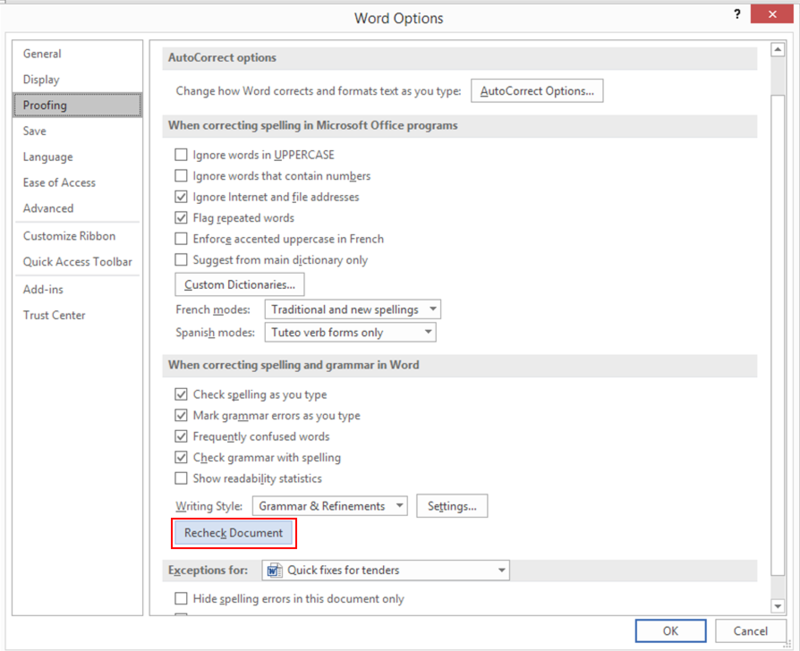 Pro tip: Use Word’s ‘edit, find, replace’ function (CTRL + G) to seek out all variants and replace with your preferred term. 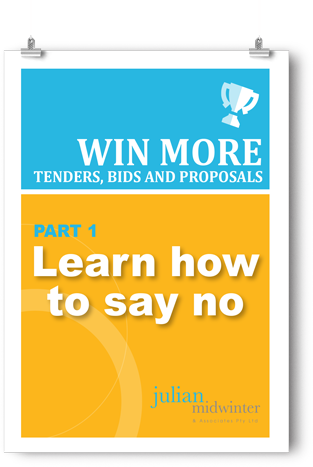 Specifics sell and one of the worst expressions to use in tenders, bids and proposals is ‘a number of’. It really doesn’t tell an evaluator much, after all it could really mean anything from 1 to 1 billion! Pro tip: If you really don’t know how to ‘size’ or dimension your response use ‘numerous’ instead of ‘a number of’ – it’s two fewer words. Another quick fix for tenders is to search and destroy redundant or extra words (which weaken your message). You’d be surprised how many of the redundancies in the list below will have crept into your draft and how many you can do without. There will no doubt be some redundant language tics particular to your profession. Lawyers for instance are fond of ‘in relation to a matter’ and ‘in respect of a claim’ – usually you can just say ‘in a matter’, or ‘in a claim’ to cut down words. Pro tip: If in doubt, read the sentence aloud to see if you really must include the word/s for it to make sense. Presentation-wise a quick fix to improve readability is eliminating any widows and orphans. A ‘widowed’ heading is one that appears to start a new section at the bottom of a page, where the text relating to the heading begins on the following page. A quick fix is to insert a page break immediately before the heading to push it on to the next page. Similarly, an ‘orphaned’ paragraph is where one or two lines of text start at the bottom of one page, with most of the remaining text on the next page. Again insert a page break before the paragraph starts. Pro tip: Remember that ideally all related content should ‘live with its friends’ and not be left alone. Huge slabs of text are daunting and punishing to read and inadvertently put up a barrier between the evaluator’s understanding and your message. 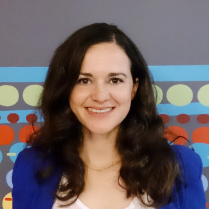 Time poor evaluators will tend to skim to try and quickly find answers to their questions. If time is short, try and insert some extra sub headings to break up longer slabs of text and point the reader to key sections. Use bullet points where possible. If you can see long lists bunched up in a big paragraph consider splitting out into a bullet list. Far easier to read and gets your point across quickly. For long bullet lists consider making the first part of each bullet bold, as if that is all that will be read. Make paragraph lengths digestible. A paragraph should not go on for a half a page or even pages. The shorter the better (and more easily read). Try reading a long paragraph aloud to see where the natural pauses to take a breath are; then add a full stop, or a semi-colon, or a comma as appropriate. Before each of your responses insert a copy or repeat of the RFT/P question (i.e. the criterion text). Make your repeat of the question or criterion text smaller (or distinct in another font or colour) to your response text. Criterion text only needs to be included for quick reference. Your response text is most important and should be consistently presented in the same font, size and colour throughout. Adding a table of contents with sufficient detail for the evaluator means they will easily find their way through the document. Try to keep your table of contents to one page. Suggest (unless it is a very complex document) your contents table is created manually at the final draft stage (rather than trying to wrestle with Word’s auto numbering). Check you have accurately highlighted any references (and cross references) to supporting material – attachment, appendix, annexure, exhibit, supplement, whatever you call it – in your response. This can be done by using a special picture bullet, or different colour text. Either way, it needs to stand out. Yes, a pretty cover isn’t going to win or lose you the tender, but it never hurts to make an effort to look professional. While late in the game this is a ‘nice to have’ recent versions of Word offer cover design templates so it is reasonably easy to quickly create an attractive cover. Pro tip: If you do use a template make sure your cover is branded with your logo and other identifying details (such as your firm’s contact for queries relating to the tender) – this way there won’t be any confusion over whose document is being read. 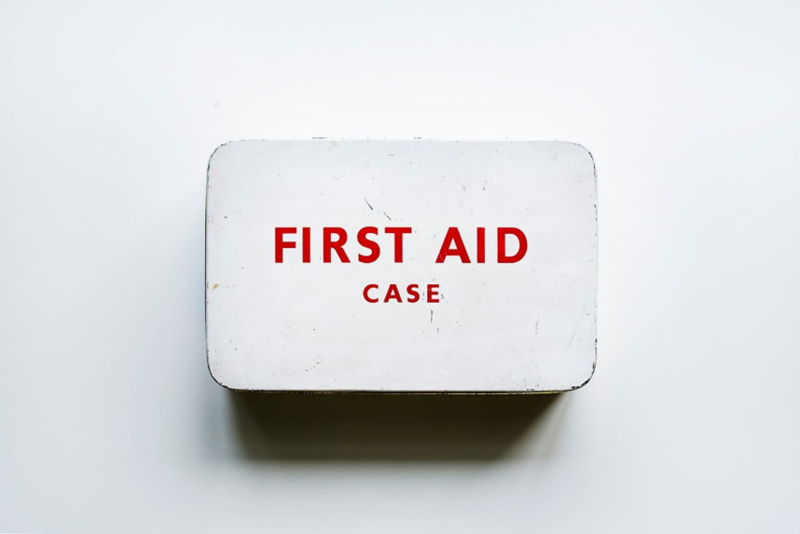 So when you are in an emergency the night before hand in you can apply some of these quick fixes to improve the quality of your tenders, bids and proposals. Or, if you are really stuck, please get in touch JMA may be able to help.